Did you know that if you took every single penny away from everyone in the United States that it still would not be enough to pay off the national debt? Today, the debt of the federal government exceeds $145,000 per household, and it is getting worse with each passing year. Many believe that if we paid it off a little bit at a time that we could eventually pay it all off, but as you will see below that isn’t going to work either. It has been projected that “mandatory” federal spending on programs such as Social Security, Medicaid and Medicare plus interest on the national debt will exceed total federal revenue by the year 2025. That is before a single dollar is spent on the U.S. military, homeland security, paying federal workers or building any roads and bridges. So no, we aren’t going to be “paying down” our debt any time in the foreseeable future. And of course it isn’t just our 18 trillion dollar national debt that we need to be concerned about. Overall, Americans are a total of 58 trillion dollars in debt. 35 years ago, that number was sitting at just 4.3 trillion dollars. There is no way in the world that all of that debt can ever be repaid. 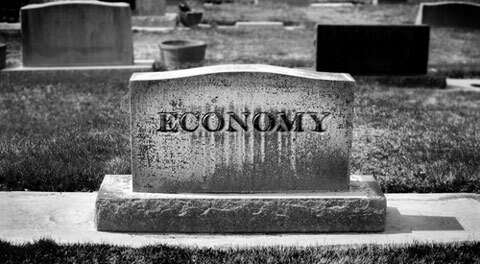 The only thing that we can hope for now is for this debt bubble to last for as long as possible before it finally explodes. 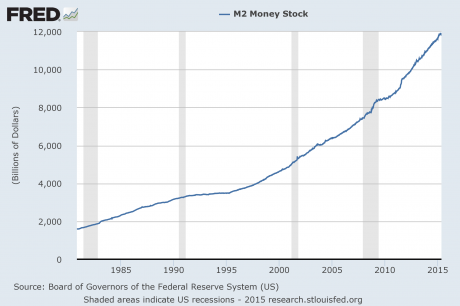 The Federal Reserve no longer provides charts for M3, but according to John Williams of shadowstats.com, M3 is currently sitting somewhere in the neighborhood of 17 trillion dollars. So even with the broadest possible definition of “money”, we simply cannot come up with enough to pay off the debt of the federal government, much less the rest of our debts. The real problem, of course, is our out of control spending. During the past two decades, spending by the federal government has grown 63 percent more rapidly than inflation, and “mandatory” spending on programs such as Social Security, Medicare and Medicaid has actually doubled after you adjust for inflation. As I discussed above, there isn’t enough money in our entire system to even pay off a significant chunk of that debt. 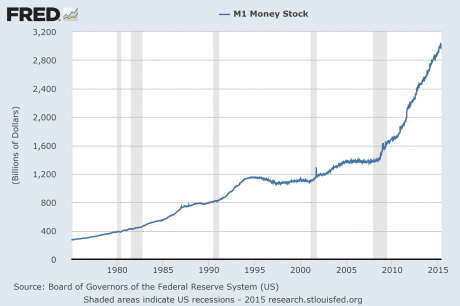 So what happens when the total amount of debt in a society vastly exceeds the total amount of money? Is there any way out other than collapse?